Price: $25-35 per car for ALL farms, ALL weekend! Every spring, local and sustainable farmers open their barn doors and farm gates to visitors during the Piedmont Far, Tour. 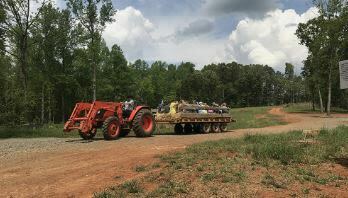 Come tour scenic and sustainable farms in Alamance, Chatham, Orange and Person Counties. See baby barn animals, taste goat and cow cheese at award-winning dairies, tour gorgeous organic produce farms, enjoy a hayride, create your own flower bouquet, learn about local craft beer production, and take home tasty treats like gourmet mushrooms, pasture-raised meats, freshly laid eggs, chemical-free fruits, nutrient dense micro-greens, and sustainably grown veggies. Don't forget to bring a cooler to bring home some of the delicious products for sale at many farms! 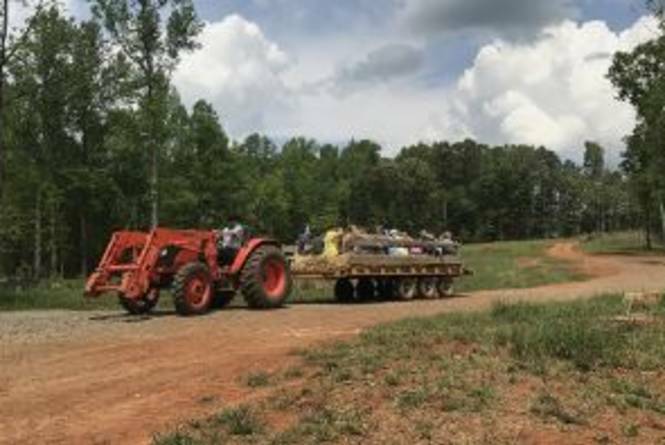 This event is for kids, foodies, locavores, gardeners, new or aspiring farmers, locals, and visitors will enjoy a memorable weekend spent meeting local farmers and touring their beautiful farms on the Piedmont Farm Tour.